If you are moving house, a man with a van is definitely worth considering. It’s relatively quick, cheap, and hassle-free! Use this article to guide you on their prices and services. We’ve also compiled a few tips to help you find the right man with a van in Dublin. How much should you pay for a man and van? The hourly charge is usually set to a minimum of €25 per hour, increasing as the job becomes more extensive or complicated. Any extra services you ask will increase the price as well. Important to note is that toll charges will usually be added to your bill, and are more prevalent for moving projects outside of Dublin. We provide a more detailed breakdown of these factors later on. Each man and van company will have their own way of determining their prices. This is why you will probably find a wide variety of prices if you try to do some research. Even so, it’s good to have an idea of the average prices. If you prefer a fixed price quote, feel free to ask your man with a van in Dublin. This will protect you from increased prices due to congestion and delays. How is this possible you might ask? By contacting multiple companies in the Dublin area and requesting prices, you’ll be able to compare and quickly identify the best quote for your budget. Take 1 minute of your time to send a quote request and unlock savings of up to 40% easily! It is free and non-binding so you won’t feel any pressure at all in making a choice. What affects man with a van prices? Man with a van Dublin prices depend on several factors. Hourly charge: Usually, prices are stated in hourly rates with a 2 hour minimum. This means they’ll charge you for at least 2 hours, after which they’ll charge either in half hour or hour increments. Distance to your destination: Movers use the distance of the journey to determine part of their transport costs. Additionally, some add a mileage charge averaging 20 cents per kilometre on top of the hourly charge. The total amount of items: How many items you need transported is important for setting transport costs as it affects the amount of work to be done, how many trips are needed, and the type of vehicle required. The necessary vehicle type: There are 4 main types of vehicles that you can hire as your moving van in Dublin. The higher its carrying capacity, the more expensive it is to hire. Take a look at our removal van page for a more detailed look at each type. Extra requested services: Most man and van Dublin companies offer help with packing and assembling items. These extra services are added to your final hourly charge or fixed price. Toll charges: If you are travelling on toll roads, the toll charges are passed down to you. Generally, these apply to moves outside of the Dublin city limits. 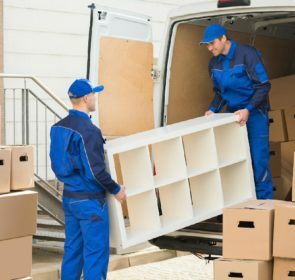 If you are moving in the area, a man with a van Dublin company will be of tremendous help. Their wide range of services mean they are useful for many situations. House removals: They will make sure your house move is quick and stress-free. 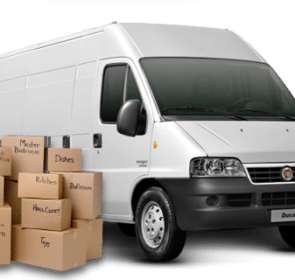 With their different sizes of vans, these companies are able to accommodate your prized possessions. Hiring a man and van is suitable for a 2-bedroom house or smaller. Office removals: Are you a small or medium-sized business looking to relocate? Then a rental van with helpers is a cost-effective way of doing just that! They’ll safely and quickly transport office equipment and furniture, minimising disruptions. Furniture removals: Sometimes you just need to move a few pieces of furniture. The small size and cheap rates of a man with a van within Dublin make it a sensible option for furniture removals. Waste disposal: If you have bulky items that you need to get rid of, a van is a great way of transporting them to a charity, waste, or recycling centre. Item collection and delivery: Man and van companies are also capable of picking items up for you. For example, if you have bought a household appliance from a store, a man with his van will transport it to your home. Piano removals: For moving a piano, you need special care and equipment. Certain man with a van Dublin professionals offer piano removal services. They have the expertise so that your piano remains in tune. Storage: Some companies also have their own storage facilities that you may rent. These are great if you need to make a bit of extra space in your home or if you need some time preparing your new home. 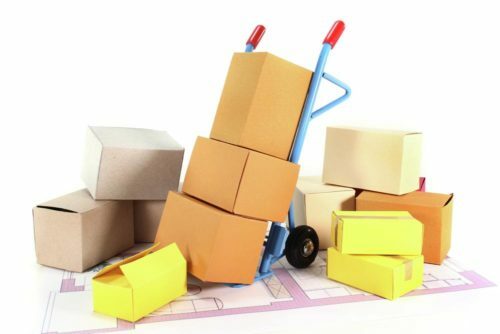 Packing services and supplies: You are also able to request help with packing your items if you are moving house. Some man with a van Dublin businesses sell packing supplies—ask them if you are in need of boxes, tape, or wrapping paper. How can you find the right man with a van in Dublin? Finding the right Dublin man with a van can be tough. There are so many movers to choose from that you might be feeling overwhelmed. Don’t worry! We’ve compiled a few tips to help make the search easier. Ask your friends and families for recommendations. Start your search by turning to the most trustworthy sources: your friends and family. This is fantastic for hearing about their great (or terrible!) experiences. Get at least 3 quotes. This is so that you have a good idea of the prices to expect. Compare the prices and find the one that best matches your needs. The more prices you obtain, however, the better. Do research. Look for online reviews of potential man with a van Dublin companies. Take a look at their website to scout their services. Also, contact them and ask as many questions as you can! An in-person inspection is always best. Arrange for the man and rental van to come in and take a look at the items you want them to transport. They’ll be able to plan for the move better and create a more accurate price estimate. Choose the right time to move. In Dublin, you should be quite finicky when it comes to your moving date and time. Try to avoid the peak moving season from May to July, and never move during rush hour times in the morning or late afternoon! Remove any stress from your move now! Finding the right man with a van Dublin business is made easy when you send a quote request to multiple professionals at once. It’s incredibly easy, and you’ll be able to compare their prices, services, and profiles. Not only will you find the right man and van, you’ll rest easy knowing it came at the right price too!